Don’t forget to include a hearing test in your upcoming health check! Hearing is an essential part of our life and enables us to communicate, socialise and work, keeping us connected to the world. Yet, the gift of hearing is often taken for granted. Just like your eyes or your teeth, your ears need regular screenings to ensure that they are healthy and to maintain your quality of life. Conversations with your loved ones, listening to the laughter of your children or grandchildren, or even the melody of birds chirping in the morning can bring joy to your life. With hearing loss, you may be unable to hear these as clearly and this may make you depressed and upset. If you find yourself or your loved ones showing signs of hearing loss – such as adjusting the television volume louder than usual and difficulty in holding a conversation, you are not alone. One in 6 Singaporeans suffer from some form of hearing loss. However, it often goes unrecognised as hearing loss happens gradually, making it hard to identify. Left unattended, hearing loss may affect one’s mental health, leading to loneliness, depression and heightened risk of dementia or Alzheimer’s disease. Recognising the warning signs of hearing loss helps to prevent the condition from worsening. Early detection of the subtle changes helps to protect the hearing of yours and your loved ones’ – this is why you should not neglect your hearing health check. If you need support with your hearing, we have a team of professionals on hand to render free help and advice to guide you through your options. With a comprehensive range of digital hearing aids and accessories, we provide the best solution catered to your needs. We have many branches across Singapore. 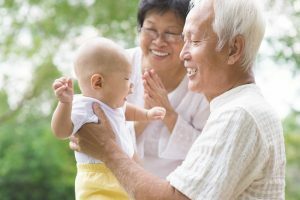 To find your nearest location, call our Client Care team at 6338 9626 or visit www.digisoundhearing.com.sg.